The Cyber Innovation Center is finally seeing years of investment in educating the future tech workforce come good. The recent announcement that Computer Sciences Corporation would locate a new 116,000 sq. 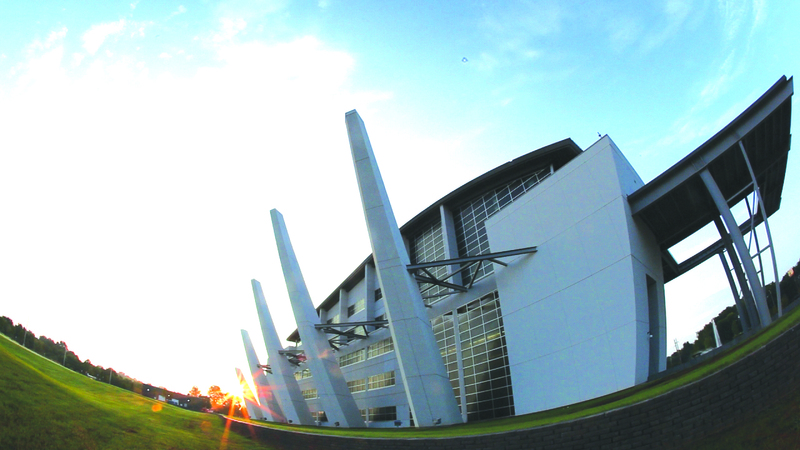 ft. facility with 800 employees in the CIC’s Cyber Research Park illustrated the success of the CIC’s education mission. The CIC began developing educational programs with the goal of organically growing a workforce to support a cyber technology industry. A multifaceted effort was undertaken to work with university and college partners to address the formal academic pathway, as well as developing curriculum at the K-12 level. Among other entities, the university pathway was embraced by Louisiana Tech and Bossier Parish Community College. BPCC created a cyber technology degree in 2008 and Louisiana Tech has built their cyber engineering degree program. In middle and high schools, CIC has developed NICERC (National Integrated Cyber Education Research Center) to engage students in new way, one that includes physics, advanced math, engineering and science, and cyber literacy. “The thought process is these classes are being taught every day, so let’s provide teachers with the resources to reach those students in an entirely new way,” said Cazes. He said Bossier schools have been a valuable, supportive test site. “If we come up with an idea they’re giving us an environment to help mold it and that’s huge. It’s progressive and allows us to advance our program and give their students a new opportunity,” said Cazes. The CIC is also rolling out Cyber Discovery nationally through the Department of Homeland Security. They also support other nationally recognized programs by sponsoring schools teams to compete in the Shell EcoMarathon and the Science Olympiad as well as being a regional host site for the Mini-urban Challenge. “We don’t need to reinvent the wheel. If they’re a cyber patriot program, we will support it,” Cazes noted. He said the effort to create this extensive, thorough educational program is made easier by having good partners and staff. “We’re blessed to have really good partners. They’re outside the box thinkers and we have the ‘What do we have to get it done?’ attitude,” said Cazes. With CSC locating in the National Cyber Research Park, Cazes is “unbelievably positive” and feels the effort has been worth it. Henderson said BPCC’s goal is to stay on the cutting edge when it comes to certifications and meeting the needs of employers. However, Cazes noted this is not a stopping point, only the tip of the iceberg.